To furnish the varying desires of our customers, we are immersed in offering a world class consignment of Crystal Lamp. We provide our customers with the best range of Crystal Products, which includes Crystal Candle Stands, Crystal Chandeliers, Crystal Pen Stands, Crystal Wedding Table Centerpieces and Crystal Photo Frames. A convenient and an attractive capsule shaped desktop light. A tap and the light switches on or off. A sway and it shall self-balance to stand right side up. While satisfying the different specifications of the industry, we are providing Diamond Assortment Lamp with various specifications. We offer finest quality of fibre optic lamp which are attractive and widely used in Home, gardens, parks, clubs, resorts, roads and societies. These can be used for both indoors and outdoors. Our wide range of fibre lamp is fabricated using best grade material and is in accordance with the international quality standards. We offer an exclusive range of Fairy Dolphin Lamp. 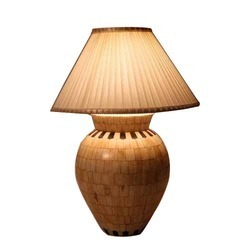 This lamp is made from very high quality raw material which ensures high durability at its user end. Offered in different designs with various color shades that increases the beauty of interiors as well. Various types of standard lamps are provided by us, which are capable of sustaining voltage fluctuations. These lamps do not get fuse easily due to voltage fluctuations. Our lamps are ideal for commercial and corporate establishments across the country. 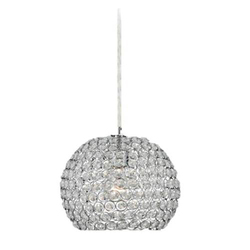 We also offer these lamps in different sizes and specifications. Festival Lamps are an excellent addition to any décor and create the right mood for any festive occasion by creating the aura of illumination. We are proud to present a unique assortment of Festival Lamp, which showcases the colors of India through its multihued appearance. Laser SOS (India) Pvt. Ltd. provides laser users with the largest range of retrofit flashlamps and Krypton Arc lamps available. Laser SOS (India) Pvt. Ltd. is one of the largest provider of retrofit laser lamps and IPL light sources.